TURQUOISE YACHTS, formerly known as Proteksan Turquoise, is a Turkish yacht builder founded in 1997. Based in the epicenter of the Mediterranean, Turquoise Yachts provides skilled craftsmanship and in-house expertise with state-of-the-art engineering to produce impressive superyachts from 131′ to 262′ (40m to 80m). The Pendik shipyard facility in Istanbul is 25,000 square feet (2,322 square meters) with room to build 100+ hulls. Sea trials can be held nearby in the Sea of Marmara, which is accessible from the shipyard. The company’s other state-of-the-art shipyard is located in Kocaeli where the superstructure work is conducted. The Kocaeli yard is capable of producing yachts up to an impressive 393′ (120m) and can handle refits of all types. World-class new yacht construction by Turquoise Yachts includes the 231′ (70.54m) TALISMAN C, the 239′ (73m) VICKY, the 176′ (53.9m) CHAYKA and more. As a premier luxury yacht builder, Turquoise Yachts works with the world’s finest interior and exterior designers including Philippe Briand, Paolo Caliari, Nuvolari Lenard and others, to create a yacht with thoughtful precision and detail to the client’s liking. Browse the entire fleet of Turquoise yachts for sale or find a Turquoise yacht for charter below. 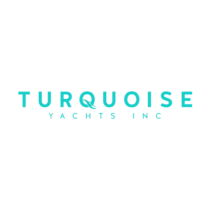 For more information about Turquoise yachts for sale and your own custom tailored yacht report, or to book a Turquoise yacht for charter, simply contact the Merle Wood & Associates luxury yacht brokerage firm.